Experience three wonders of the world - the Galapagos Islands, the Amazon Rainforest and the Andes mountains - in one action-packed 16-day trip visiting the best of Ecuador. Spend five nights in the Amazon jungle at the comfortable Sacha Lodge paddling dug out canoes and searching for Amazonian wildlife like monkeys, sloths, and caimans. 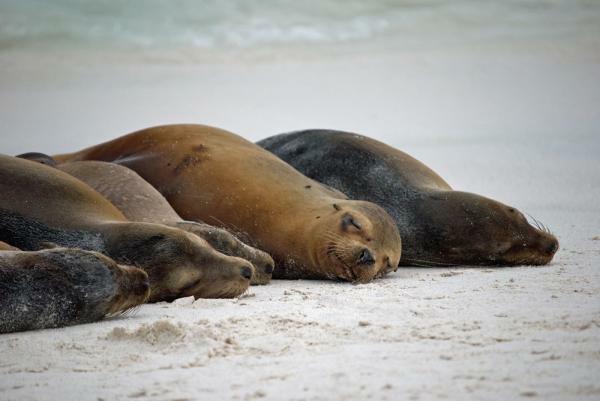 Later in the week, fly to the Galapagos for a cruise around the islands. Visit remote areas for nature walks and get the opportunity to view the unique, fearless wildlife of the Enchanted Islands. 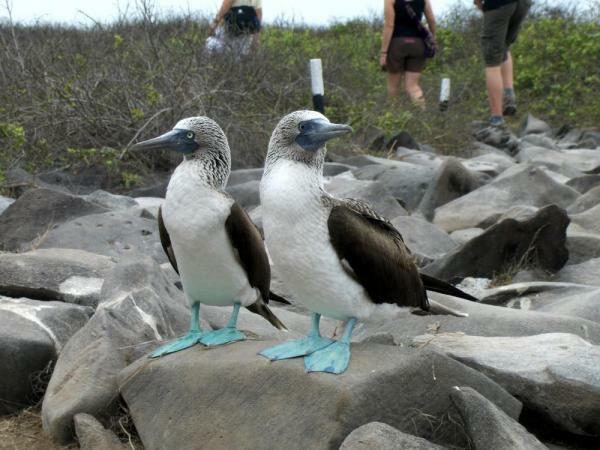 See blue footed boobies, giant tortoises, marine iguanas, seals and more! 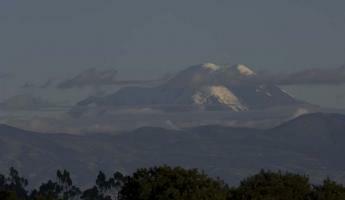 Arrive in Quito and overnight. Begin your Ecuador travel adventure with a short flight over the high Andes and down to the Amazon frontier town of Puerto Francisco de Orellana (called Coca by locals). From here you travel by motorized canoe two and a half hours down the Napo River, followed by a short walk through a thick palm forest to Sacha Lodge, your home for the next few days. Days at Sacha Lodge are filled with discovery. During excursions, visitors are divided into small groups (usually around 6 people per group), each with its own native guide and bilingual naturalist. Native guides carry a lifetime of knowledge about the medicinal and functional uses of rainforest plants. They proudly display the wonders of their home environment, sometimes even offering a tasty treat like the strange lemon tasting ants that coexist in the stems of certain trees. 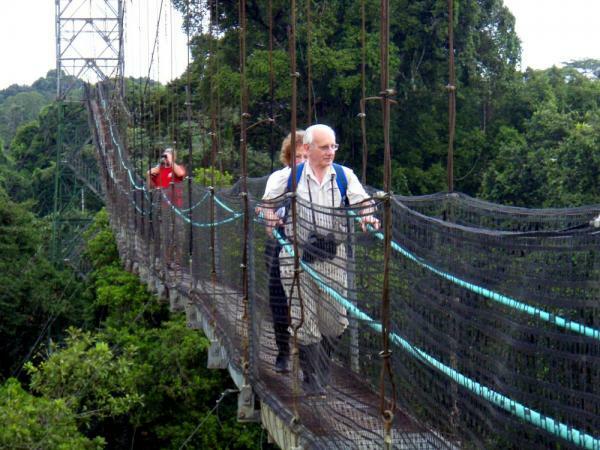 Naturalists, educated in biology and ecology, translate for native guides and complement your Amazon tour excursions with explanations of the scientific workings of the rainforest. 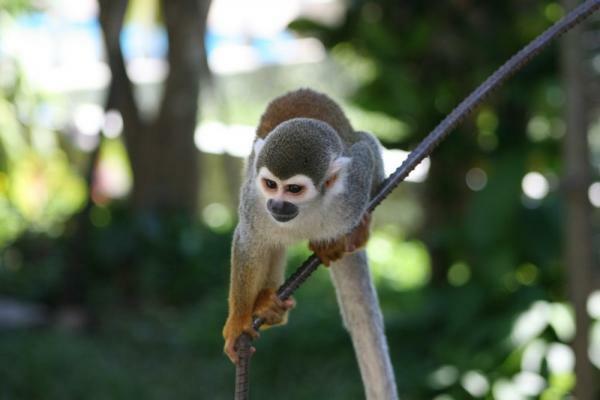 Sacha Lodge has something for everyone. A favorite activity includes paddling dugout canoes along black water creeks and lakes past luxuriant lianas, bromeliads, and enormous palms. Swimming and piranha fishing are also popular (the piranha here are harmless, really!). And for the adventurous there are night walks and canoe trips in search of caiman and other nocturnal creatures. Sacha Lodge also offers three very unique sites to visitors. The first is a 130-foot observation tower that gives visitors a chance to get above the rainforest canopy for incredible views of the area. This is also a great place to observe toucans and other tropical birds and with luck spot noisy howler monkeys or a three-toed sloth. The second site is the butterfly house where over 40 local butterfly species are bred. Visitors can see the process of breeding and raising these colorful insects and wander through the "flying room." Finally, there's the Yasuní Parrot Lick. 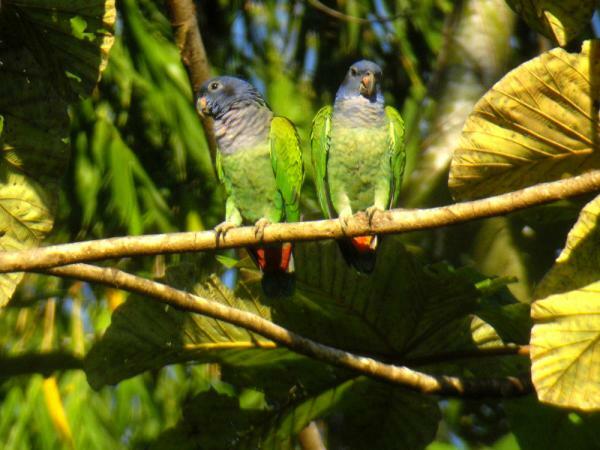 Just a short distance from Sacha Lodge is Ecuador's most famous macaw lick, where visitors can observe dozens of the magnificently colored birds feeding on the clay's salt. 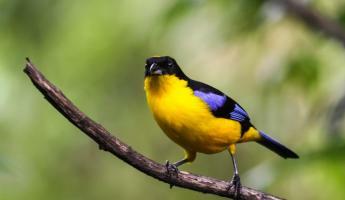 Complete your Amazon tour with a flight back to Quito. 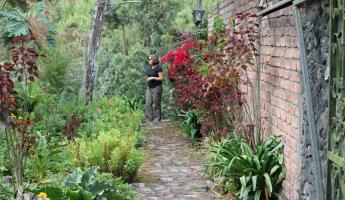 Two hours north of Quito lies one of Ecuador's finest haciendas. 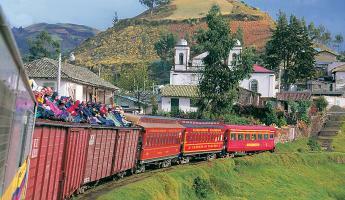 Nestled in the Otavalo Valley in the shadow of Imbabura Volcano, the 200 year-old Hacienda Pinsaqui was a favorite haunt of the revolutionary General Simon Bolívar. The thick whitewashed walls seem to whisper stories of a by-gone era. From the hacienda, go mountain biking in the countryside, visit the white city of Ibarra and the leather shops of Cotacachi, or take horses around Cuicocha Lake. Pinsaqui, with its gardens and old textile shops, is yours to explore. After a pleasant breakfast at Pinsaqui, the day's adventures are open to you. Hike around the volcanic crater of Cuicocha, visit the villages around Otavalo, or share a traditional lunch with an Otavaleño family. The choice is yours! There are markets every day of the week in the tiny town of Otavalo, where indigenous people from the mountains descend into the valley to sell their crafts, textiles, cows, and goats. This is the most famous Indian market on the continent, and the Otavaleños are certain to win your heart. This afternoon return to Quito to prepare for the next day's Galapagos adventures! An early morning flight from Quito brings you to the Galapagos Archipelago. Upon arrival, you are picked up and transferred to your yacht - your home for the next seven nights. This afternoon you head to your first island to begin your Galapagos cruise and a week filled with mysteries of the natural world. Click here for more details about the Eric/Letty. Visit several islands during your unforgettable voyage. Each day you leave the comfort of your yacht and go ashore in a panga (the local word for dinghies, Zodiacs, etc.) 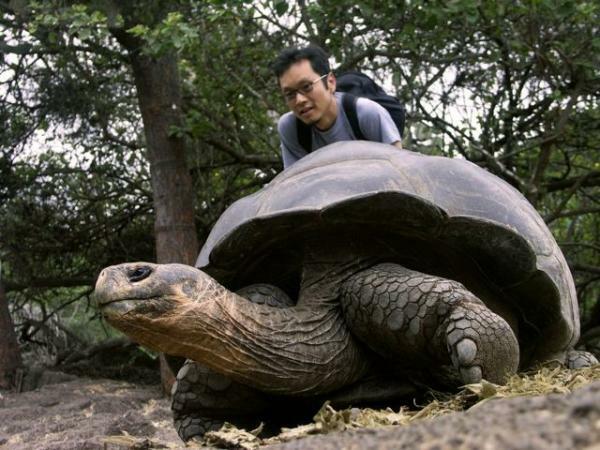 to remote areas of the islands for natural history walks through the Galapagos's unique ecology. Your crew takes excellent care of you with delicious meals and attends to all of your creature comforts onboard. On the islands your naturalist guide shows you the diversity of Galapagos life and teaches you about the area's natural history. This is everyone's chance to photograph unusual marine iguanas, snorkel with playful sea lions, and just take in the unique landscape of ancient volcanic turmoil. Except for a few settlements, the entire archipelago is a national park and the beaches and meandering footpaths invite relaxation and fanciful dreams. 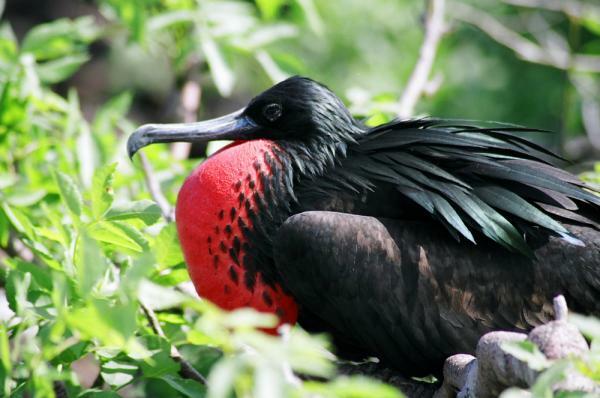 This morning you visit one last island and say good-bye to Darwin's inspiration as you complete your Galapagos tour. You are transferred back to the airport for your return to Quito. Ask us for a custom quote based on the Galapagos yacht of your choice. Many boats offer a shorter cruise which spends 5 days/4 nights in the islands, which shortens your trip by 3 days. We can charter a yacht for friends, family and colleagues at special rates. Contact us for details. Price based on the Iguana Deck aboard the Eric/Letty. 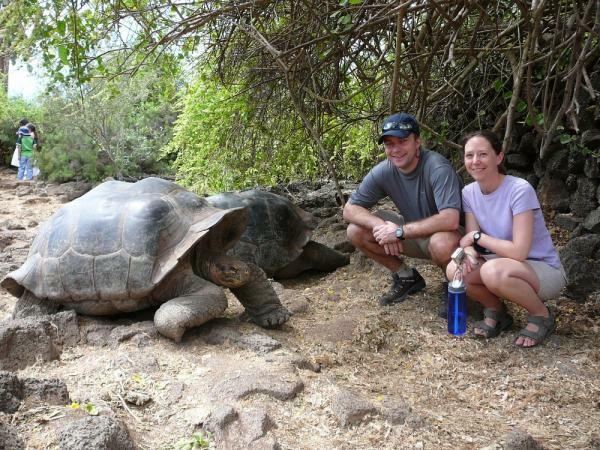 Contact us for different Galapagos yacht and start date options.